PulseAudio-enabled tray icon volume control for GNU/Linux desktops. 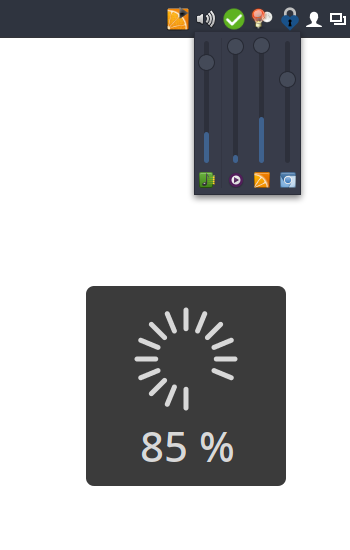 I couldn't find a simple tray icon that allows to control multiple applications easily from the task bar. So I wrote my own. The program is written in Python using GTK+. Bug reports and patches welcome! It's not meant to be an replacement for a full-featured mixer application. If you're looking for that check out the excellent pavucontrol. Clone this repository somewhere and cd into it.